Made in Germany, the stylish FELIX has commercial-grade quality, all the flexibility of a canister vacuum in an upright configuration, and offers three models with different cleaning head options! 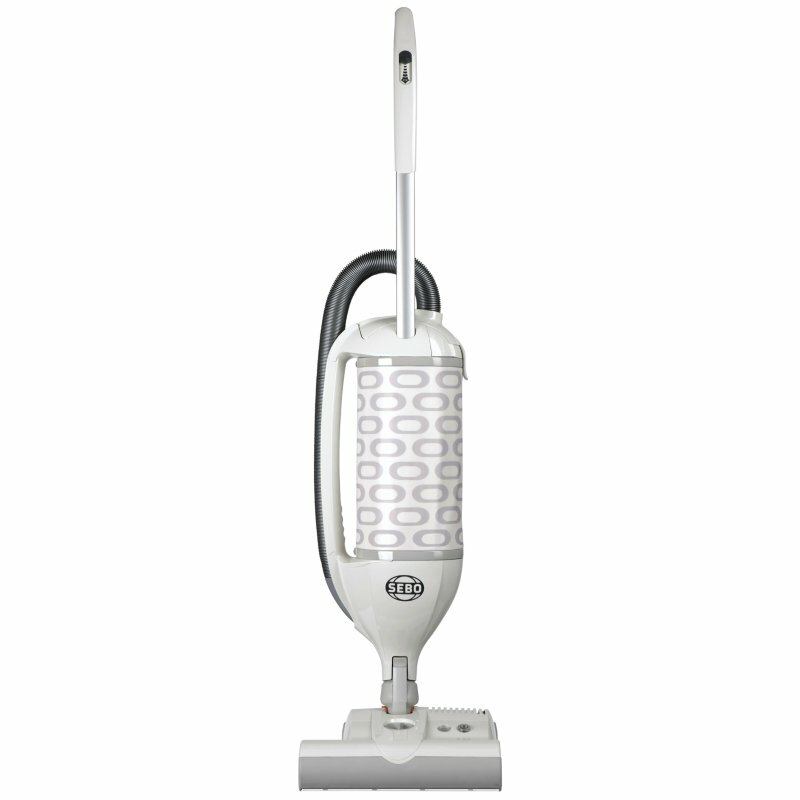 The FELIX 1 Premium has a 12-inch-wide power head and the FELIX 2 Premium has a 15-inch-wide power head; both vacuums also come with a hard-floor parquet brush. The FELIX 4 Kombi includes only a Kombi Nozzle, with retractable bristles, for cleaning hard floors and rugs with straight suction (no electric power head). All three models can morph into a floor polisher by attaching SEBO’s DISCO head. To underscore their reliability, these vacuums come with a five-year parts and labor warranty. They also feature a "flex" neck with amazing 180° steering ability, variable suction control on a three-level adjustable handle, an ultra-modern filtration system, a detachable suction unit that becomes a hand-held vacuum, an instant-use suction hose, a full bag or clog indicator, a low 6-inch horizontal cleaning profile that fits under beds and furniture, a long 31-foot cord, and two on-board attachments. The power heads that come with the FELIX 1 and FELIX 2 have manual height adjustment, effectively clean carpets and hard-floor surfaces, provide excellent pet hair removal, and have manual brush roller shut off, so delicate flooring can be cleaned with straight suction. They also have protective rubber-coated wheels, tool-free brush roller removal for replacement or bristle cleaning, and an orange warning light illuminates when brush height is set too high for optimal cleaning, the bristles are worn, or automatic shut off occurs due to a brush roller obstruction.